Ava Group (AVA), a market leader in the provision of risk management services and technologies, is pleased to announce a transformational technical and commercial partnership with a global industry leader in mining research and innovation, Mining3. 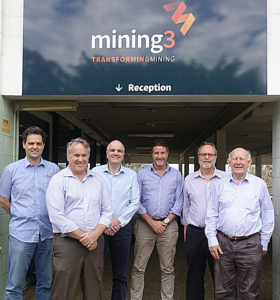 The partnership represents a technical collaboration on the final form development and the rapid commercialisation of a predictive asset condition monitoring solution for the mining industry, to be launched in Q1, 2019. Overland conveyors of 5 km are commonplace and 20 km conveyors from a local mine truck dump pocket to the processing plant are becoming increasingly common. A typical conveyor can have up to 7,000 bearings per kilometre, which means 7,000 potential points of failure. There have been several attempts to speed up and reduce the cost of monitoring all the bearings along a conveyor, and yet the original method of “walking the belt”, observing and listening to the sound is still the most commonly used approach.